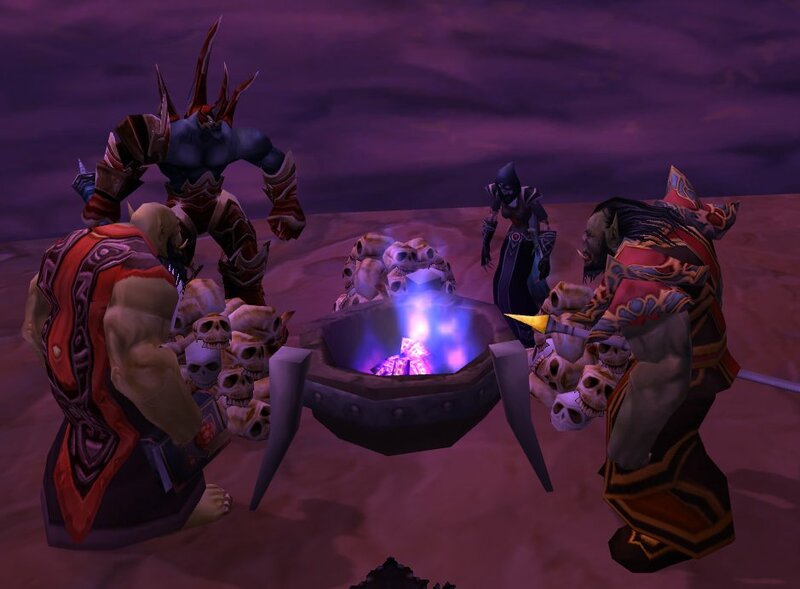 With all of the MoP news hitting the blogosphere and news sites I’ve come to the conclusion I need to respec to Demonology. Why? Well there are a couple of reasons I’m going to do this. First, it’s been since WotLK since I have run Demo. I’ve read about the cata changes and stayed as current as I can reading up on EJ and The Warlock’s Den but I just haven’t had the time to play it. I apologize to our Demo brothers & sisters but I have just been having too much fun playing Affliction and Destruction. Plus, with everything I’ve seen when it comes to pet ‘twisting’ it just didn’t appeal to me. However, reading over some of the talents, glyphs and spells concerning ‘locks in MoP I have to admit I’m curiously excited about how destroying things in demo sounds like it will be a lot of fun. So rather than wait until the MoP Beta hits, I plan to go practice Demo until I feel confident again in my ‘locks abilities at being a Demon Master. This way, when I am actually able to get into the beta I can play around with all three warlock specs to decide which play style I’m going to enjoy choosing. I think it will be nice to have a baseline comparison from what the playstyle is now to what it will be when MoP hits. Back in WotLK, I played around with all three specs for my hunter because of course when Cataclysm hit, hunters were a class that seen some of the most significant changes. I was glad I did. When the big change day came I was able to try out the new styles brought to the hunter class for all three specs and made my choice from there. The one thing we do know about the upcoming MoP expansion is that the two classes with the largest changes will be our beloved warlocks along with the shaman class. So besides having to see a complete revamp of my ‘lock I’ll have to do the same with my Resto/Elem shaman. Oh the fun and learning grind that will be! So this coming weekend, I plan to respec to Demo and start smacking mobs with my Felguard and demo form. I’ll follow-up with a post or two and let you know how it goes. Now I just have to decide which spec to keep and which one to switch to demo! Switching to Demonology I had to re-sell my soul!